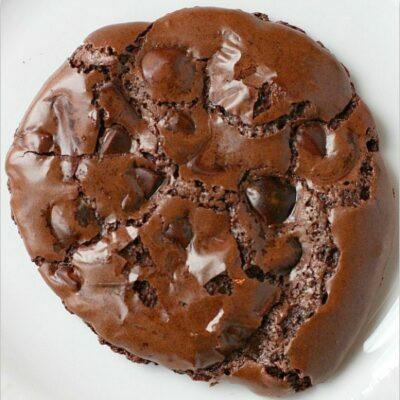 The wet mixture is combined with the dry ingredients to create your chocolatey batter. 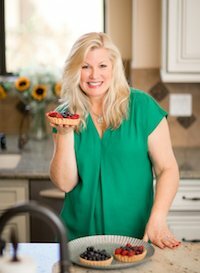 As always, I use Gold Medal Flour for my baking recipes- this time just the classic all-purpose flour. You also need a frozen pound cake for this recipe (any brand). You certainly could make your own homemade pound cake, but it’s totally not necessary. Plus, the sturdiness of a frozen pound cake is the kind of consistency you need. 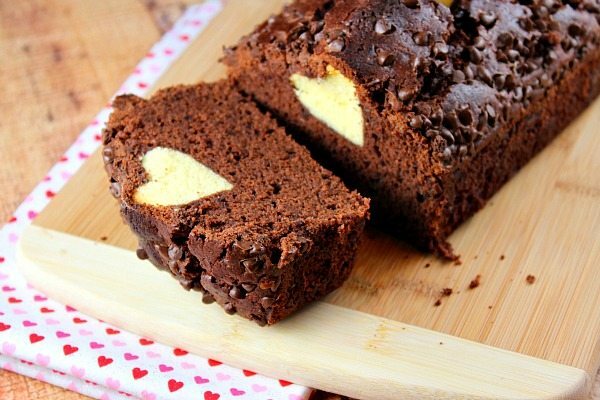 You’ll cut a bunch of heart shapes from slices of the pound cake. Those will end up being the “surprise” inside your cake! 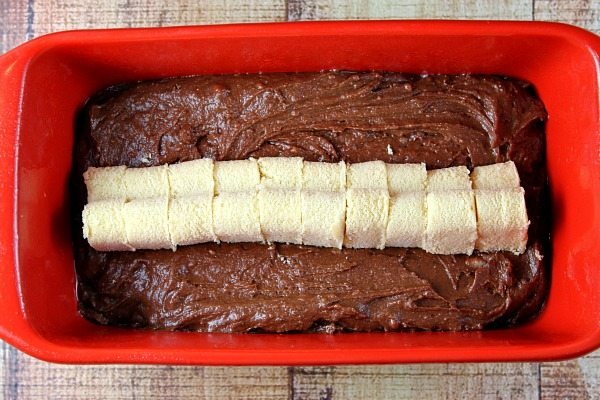 About half of the batter is spread into the bottom of your loaf pan. 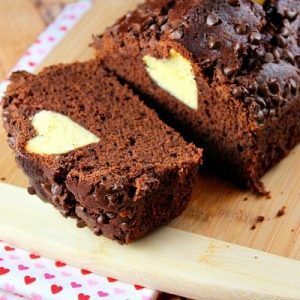 A snuggly row of evenly stacked hearts is placed on top of the batter. Then the rest of the batter is spooned on top. I sprinkled on chocolate chips to make sure everything was going to be extra-chocolatey! 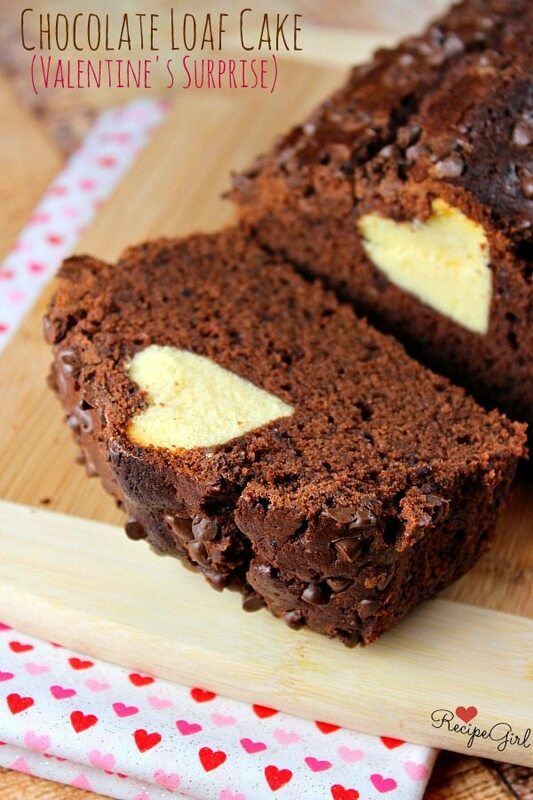 Go ahead and surprise your Valentine’s this year with this delicious (heart surprise) chocolate cake. They’ll love ya for it! 1. 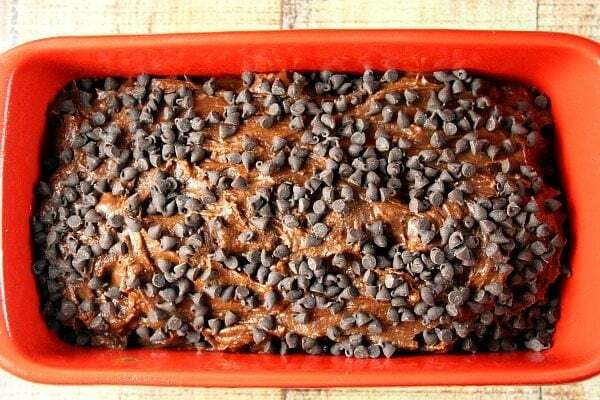 Preheat the oven to 350 degrees F. Spray an 8x4-inch loaf pan with nonstick spray. 2. In a medium bowl, use and electric mixer to combine the butter and the sugar. Then mix in the yogurt, eggs and vanilla. 3. 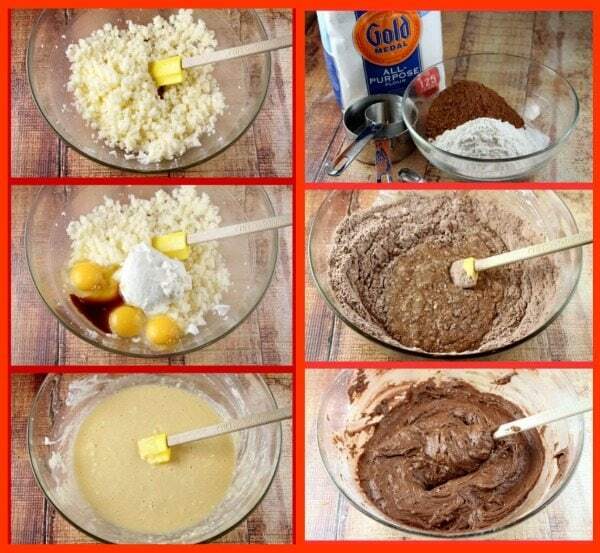 In a separate bowl, whisk together the flour, cocoa powder and baking powder. Add to the dry ingredients and mix to combine. Stir in 1/4 cup chocolate chips. 4. 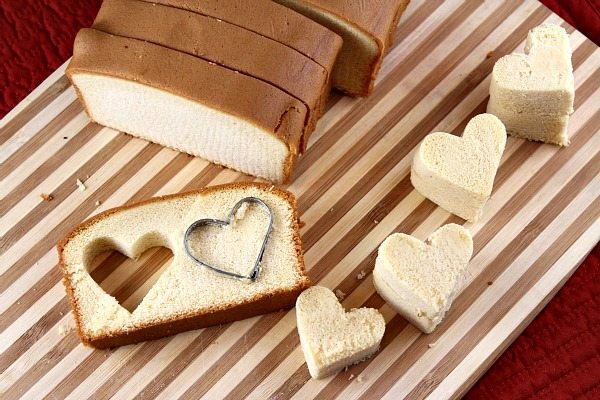 Using a small heart cookie cutter (1 to 2 inches), cut heart shapes from each slice of frozen pound cake. Cut enough of them so (when stacked) they'll fit across almost the entire length of the loaf pan. 5. 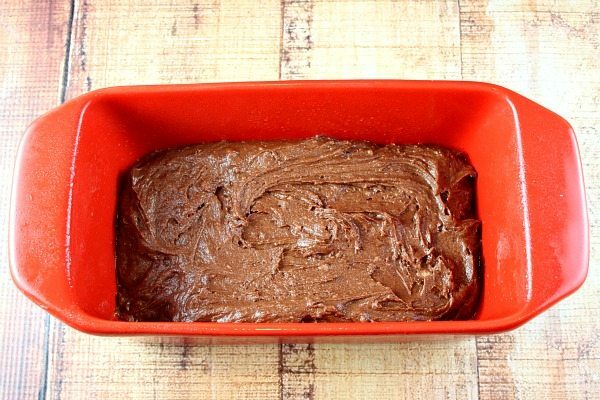 Spread about half of the batter onto the bottom of the loaf pan. 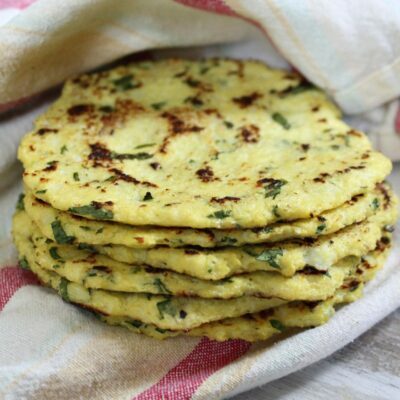 Lay a row of the evenly stacked hearts on their side on top of the batter- spanning the length of the pan and leaving about an inch of space on each end (see photo in recipe post). Scoop remaining batter over the top to cover the pound cake hearts and create a smooth surface. Sprinkle the remaining chocolate chips on top. 6. Bake 45 to 50 minutes, or until almost completely set (it will look a tiny bit like lava cake in the very center, and that's okay!) The hearts you put in the center of the cake may or may not pop up out of the cake as pictured- it depends on how deep the top layer of batter is. Let cool for 20 minutes or so in the pan, then loosen the edges of the pan with a knife and pop out onto a rack to cool completely. 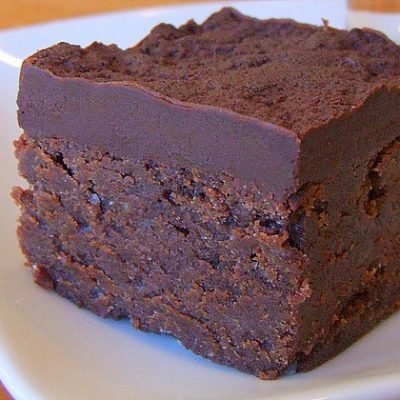 Keep well wrapped- this cake is best eaten within a day or two. Disclosure: This post was created in partnership with Gold Medal Flour, a product I’ve used and trusted in my kitchen for many years. All opinions shared are my own. There are Amazon affiliate links within this post. 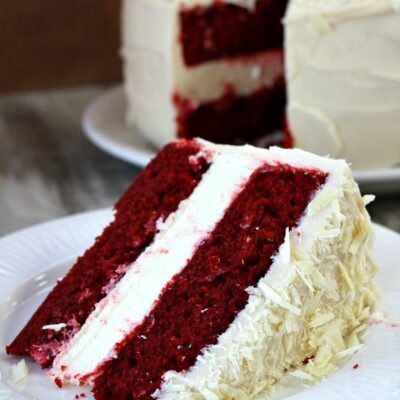 This cake looks great! Thank you for posting! Unfortunately, there is no frozen pound cake where i live… what can i substitute it with? You can make your own pound cake and cut from there! Look good. 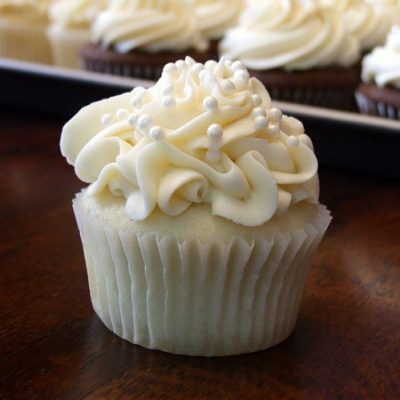 I loves to baking deresrt or cakes yummy! This would be perfect for St Pattys day with a 4 leaf clover cookie cutter. hii!! i tried this wonderful looking surprise chocolate cake..
was veryyy excited since this is something i have never tried before. on tasting the cake, it was delicious however tooo chocolatey ..the taste of the cocoa powder was wayyy too over powering..
That’s so clever. I’ve been wondering how you did that all this time. I’m so glad I finally found the time to sit down and read this post. This technique is totally doable. I made this today and it was amazing. Thanks! I wish I could show my picture .. I’m so proud! You can always google to find out… my google search says 113.4grams = 1 stick of butter. yes, slightly salted is fine. Good luck! I have this cake baking as I type-I used Madeira cake (a 450g loaf from Marks and Spencer)-I popped that in the freezer the other day and pulled it out to make this today for my kid’s school bake sale tomorrow. Could I use white chococate chips -what would happen to the 1/4 cup mixed in with hte batter? LOVE, love, love this idea! Just worried about baking time if I used mini-loaf pans. Ideas on how long it should bake? For mini loaf pans (I haven’t tried it), I would go with about the same you would do with muffins… maybe 20 to 25 minutes? You’d have to just keep an eye on them. Too cute, Lori! Does this work with mini-loaf pans? 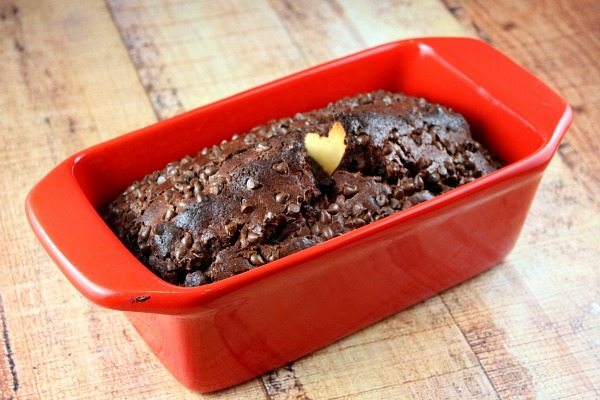 What will you need to change the baking time to if you are using mini-loaf pans? I’d assume same as muffins… 20 to 25 minutes. Keep an eye on them! This is such a wonderful idea! I made it for the family and did not let on that there was a surprise in the middle. When they cut into it there were squeals and giggles and smiles! 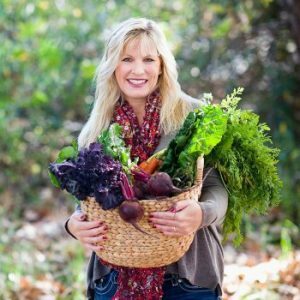 Delicious and fun – how can you top that? 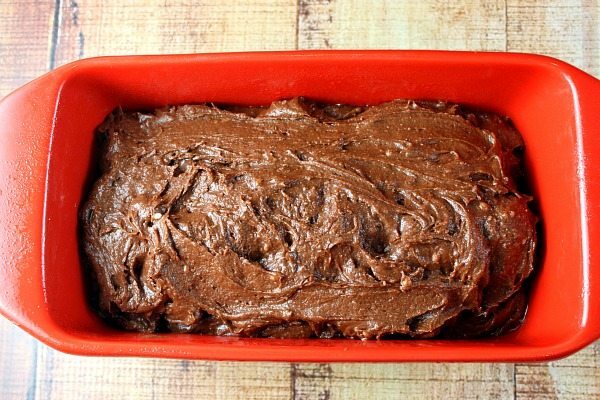 Can you use a box cake mix? And also can you do with mini loaf pans? 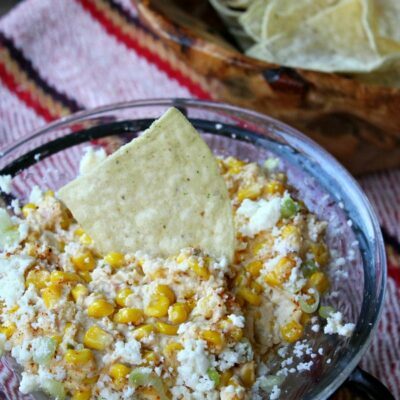 I actually saw the recipe when you first posted it but didnt get a chance to stop by. I love the little surprise! It looks so complicated but really it’s not. I can imagine all the possibilities with different cookie cutters. What if instead of the frozen pound cake we substitute for cheese cake? Will that work as well as the pound cake? That’s an interesting idea! I have no idea if it would work… or if the cheesecake would melt inside or what. Let me know if you try it!